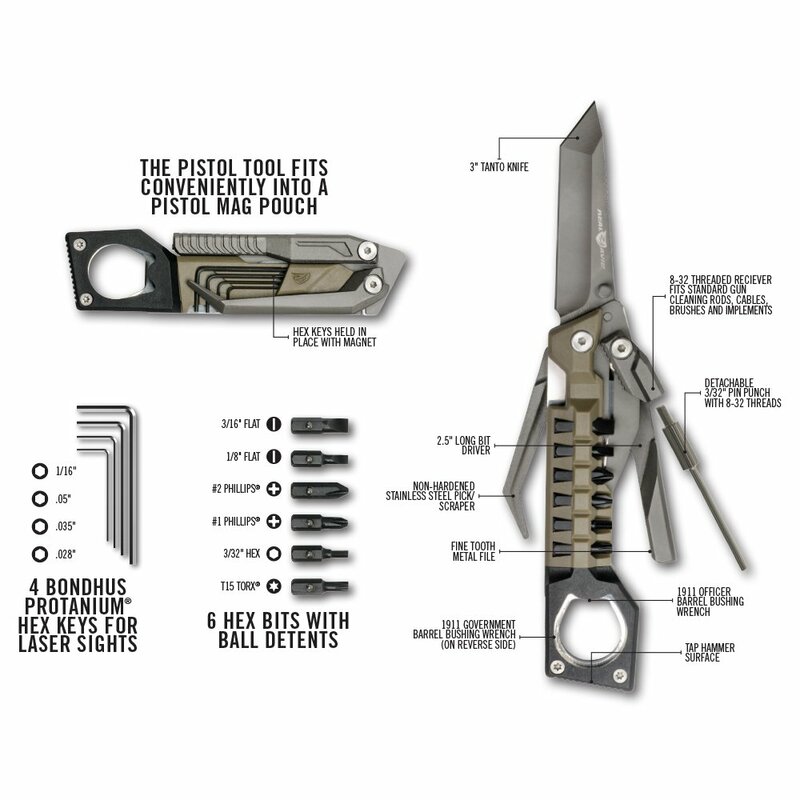 CARRY THE PISTOL TOOL ALONG SIDE YOUR PISTOL MAG: The 19-in-1 Pistol Tool fits into one of the mag pouches. 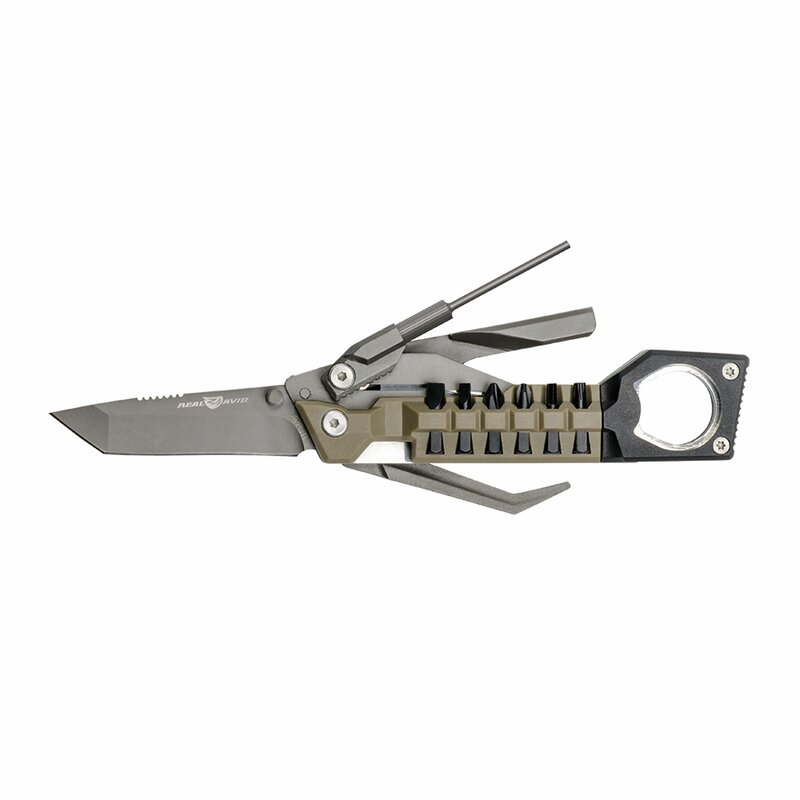 In the other pouch carry a single or double stack, tall or short mag, or other tactical pistol accessories. 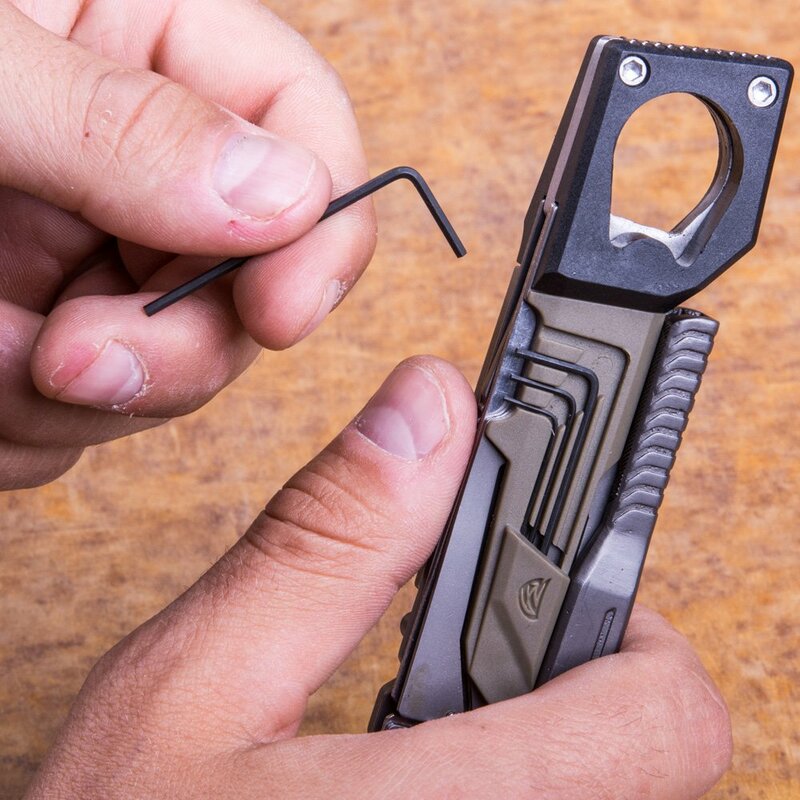 HANDLE UNEXPECTED JOBS ANYTIME: The micro Allen wrenches help adjust laser sights. 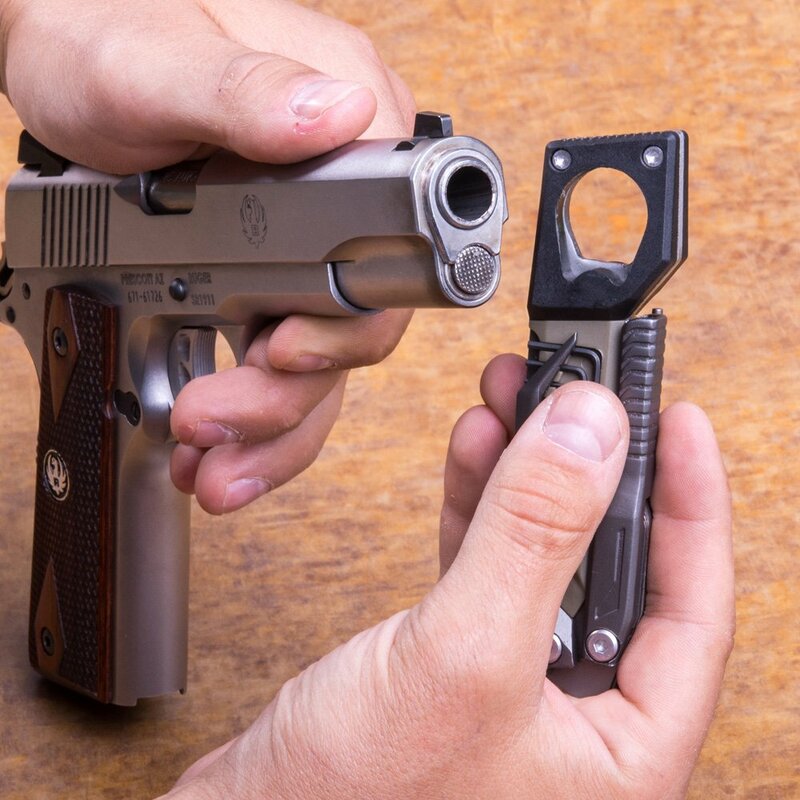 The pin punch will help you takedown you Glock or other pistols. 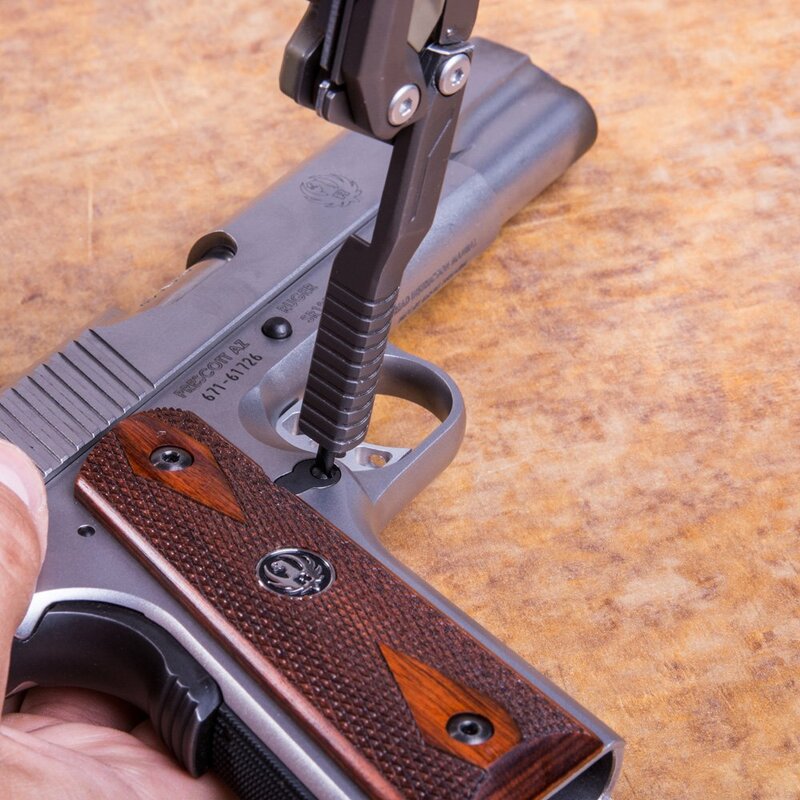 The 1911 bushing wrench will help you takedown your 1911. And more. 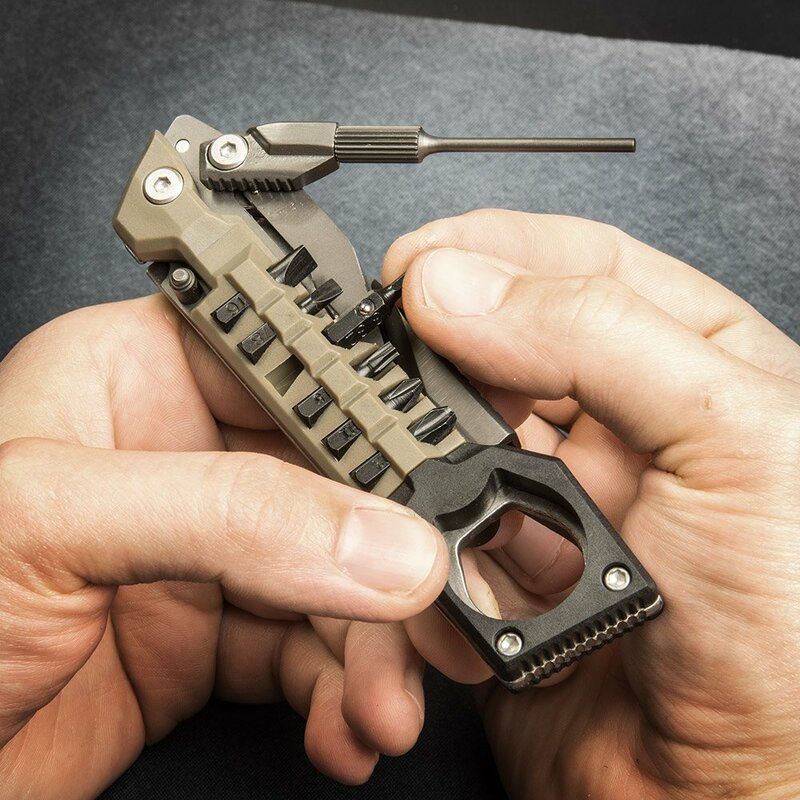 GO TO THE FIELD OR RANGE CONFIDENT YOU HAVE THE RIGHT TOOLS: The Pistol Tool is basically a pistol tool kit that can be held in one hand. 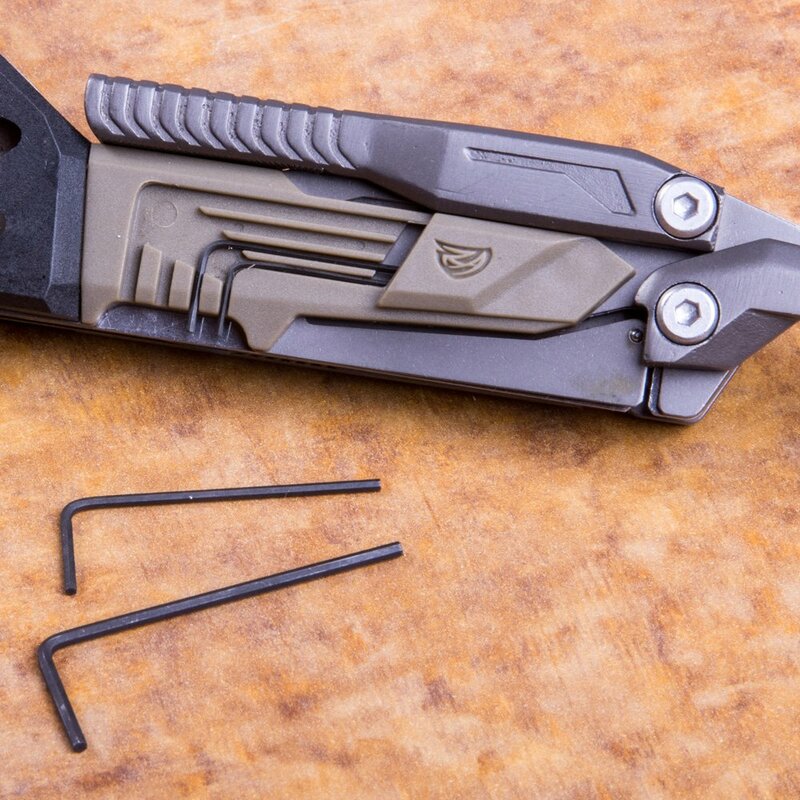 All tools are securely locked into place to ensure no small parts go missing. 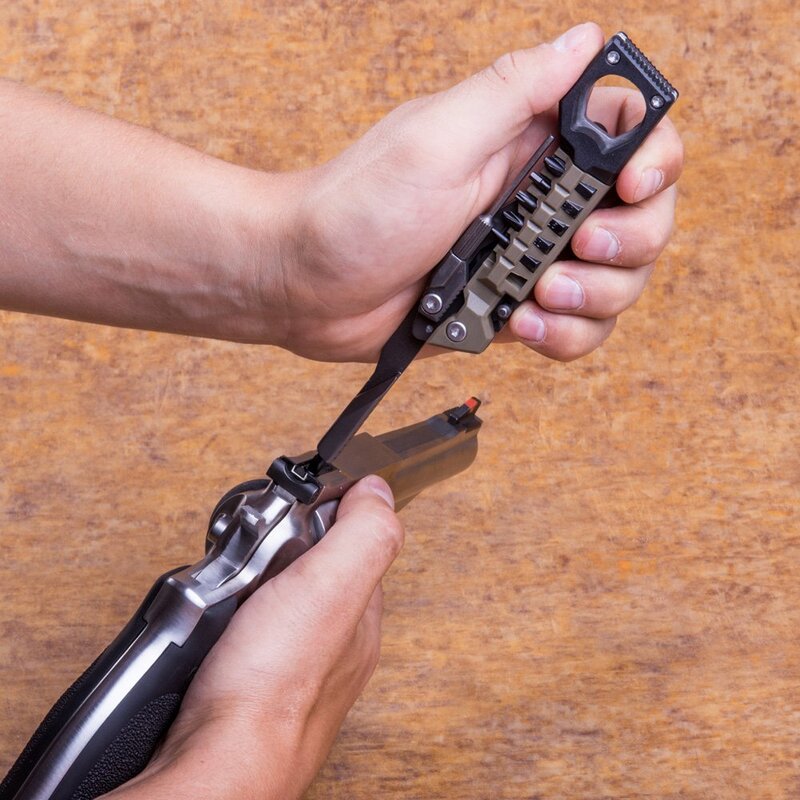 The number of tasks The Pistol Tool can handle is astounding: mounting accessories, field disassembly, adjusting laser sights, and changing grips are only a few things this tool can do. 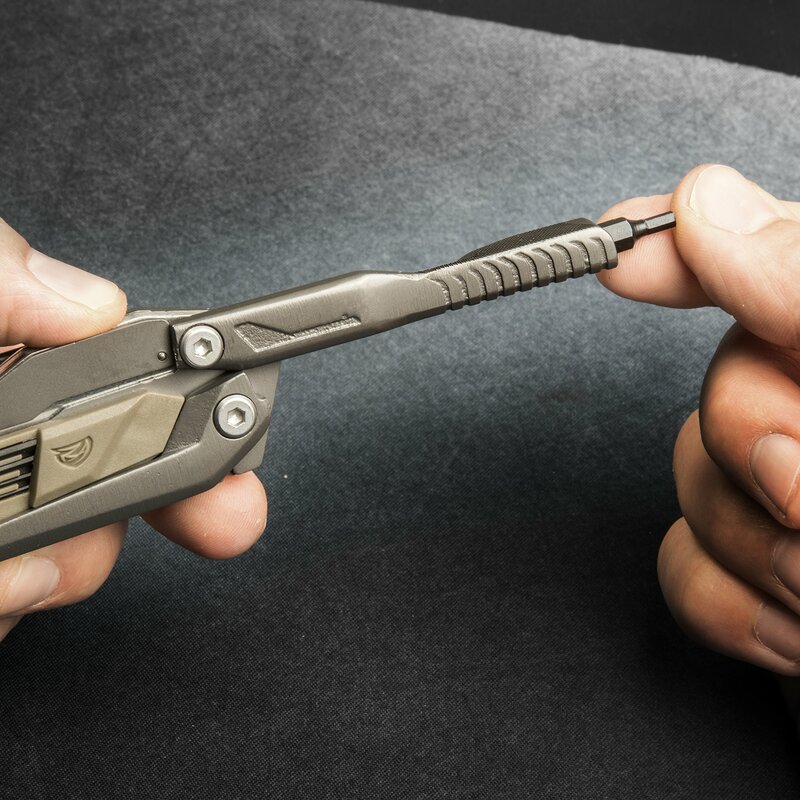 The titanium-coated implements are easily accessible with one hand and include every tool a shooter could want to service and adjust the handgun of their choosing. 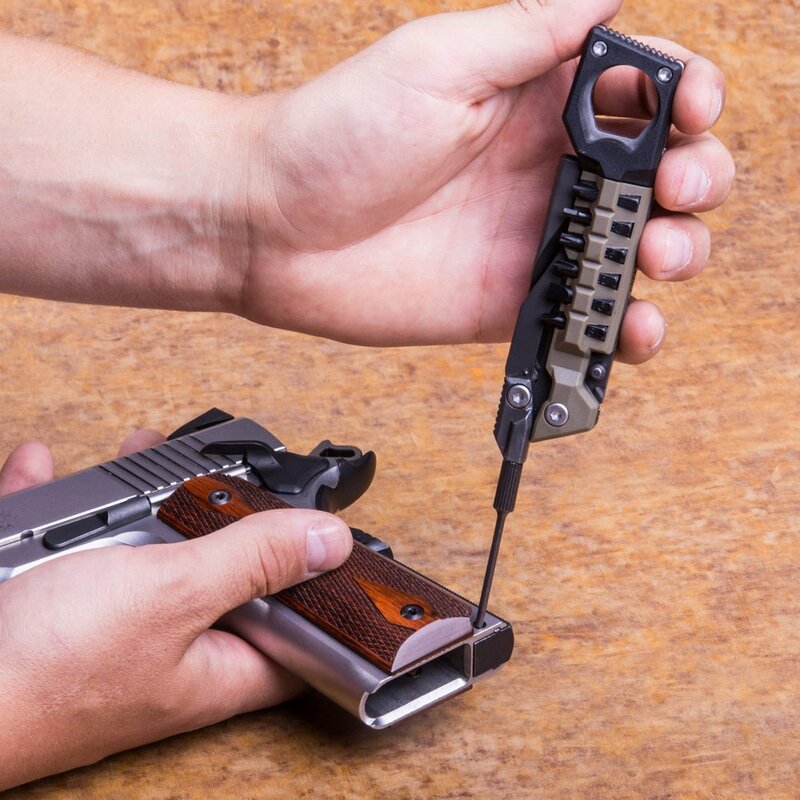 Each tool locks open and is carefully calibrated to popular pistol platforms- from a polymer striker fired pistol to the faithful 1911. 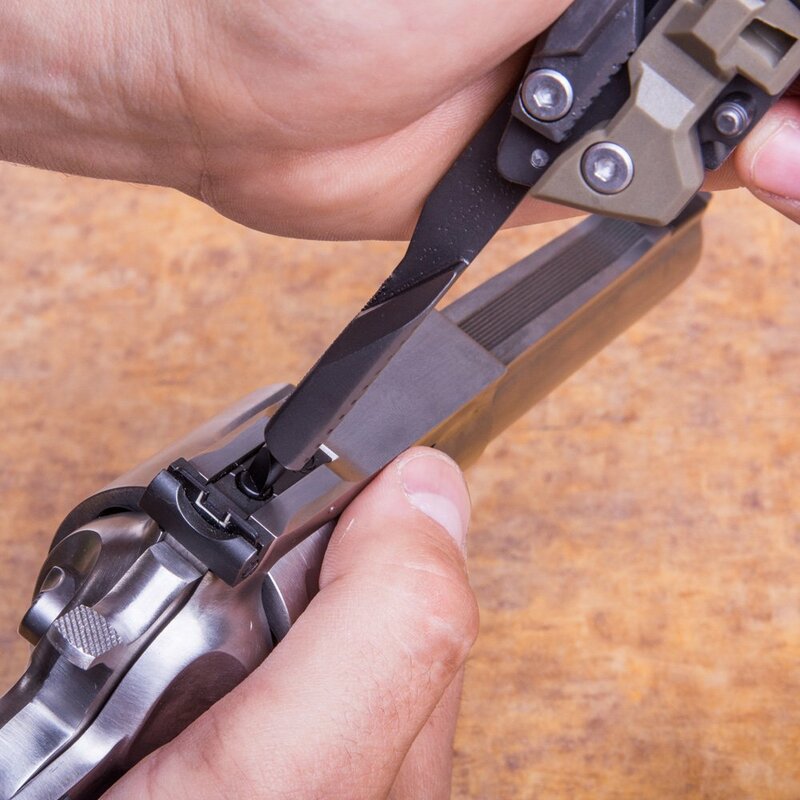 The Pistol Tool is an essential addition to every handgunner’s range bag or workbench. 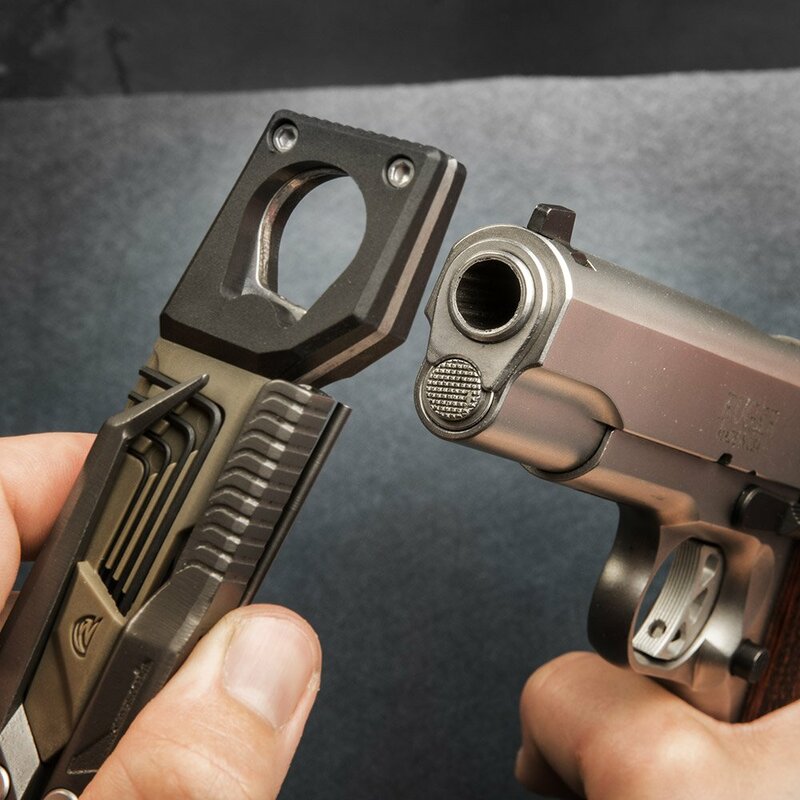 The compact design also fits conveniently into most standard pistol mag pouches. 100% SATISFACTION GUARANTEE: We stand behind all of our products 100%. 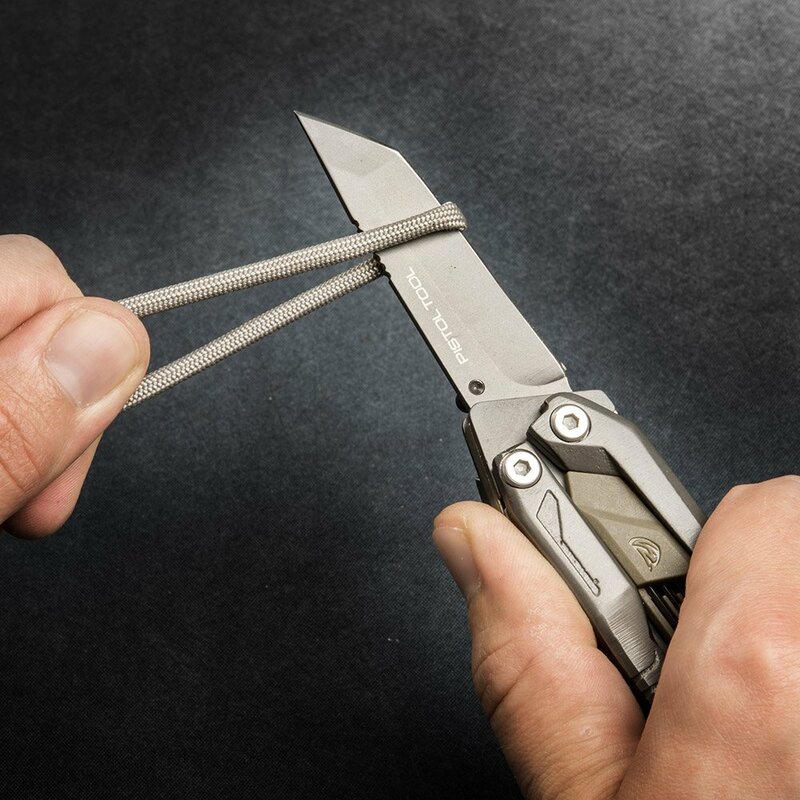 If this product is not what you hoped, doesn’t fit with your magazines, or anything else return it worry free.